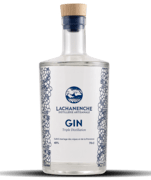 Our slow triple-distilled gin is a spirit of character that combines the sharpness of wild juniper berries with the sweetness of elderflowers from the Ubaye Valley. Local spring water is added to reduce the distillate, ensuring a powerful aromatic richness. Enjoyed neat or as an ingredient in cocktails, our gin is both vibrant and complex. Are you ready to experience the thrill? 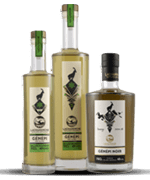 Organic gin There is 1 product. Made from the slow triple distillation of juniper berries from our local mountains.